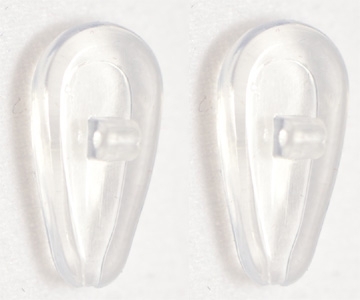 Air Active Nose Pads 11mm Screw-On Silicone Nose Pads Our Most Comfortable Nose Pads! 5 pa | QTE North America, Inc.
Our Most Comfortable Nose Pads! Air Active nose pads are hollow and made of soft, pure silicone for an allergy-free solution to nose pad related comfort complaints. Won't irritate sensitive skin like acetate, PVC or plastic nose pads. Stops nose pad burn! No more burning red spots, blisters or scars on your face caused by the cheap nose pads found on many new eyeglass frames. This product was added to our catalog on Thursday 29 March, 2007. Air Active Nose Pads Air Active™ Nose Pads are made of su ..
©2007-2019 QTE North America, Inc. All rights reserved.